I have an obsession and I need to confess. 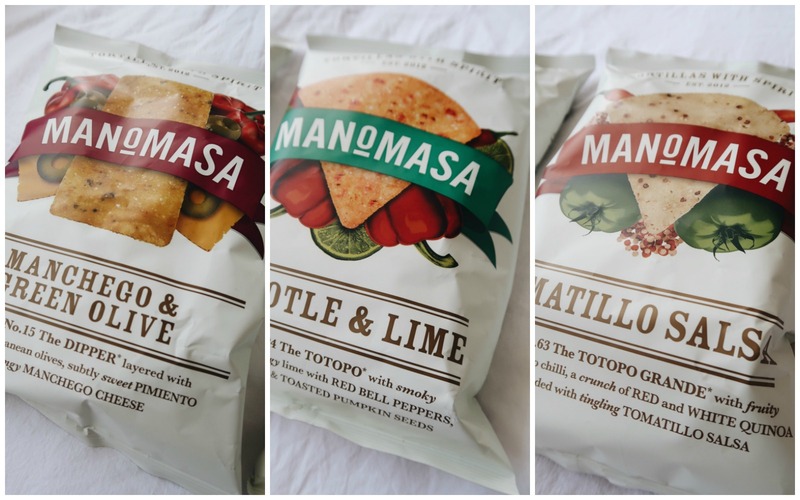 These are Manomasa tortilla chips and I will literally turn into one soon due to the amount I'm eating because they are DIVINE. I REPEAT DIVINE. My absolute favourite is the Manchego & Green Olive flavour, but they all taste EXACTLY like they are supposed to. It's witchcraft I tell you. Most chips/crisps taste artificial but these are on another level of flavour. I've since found out they have two other flavours - Sea Salt & Cracked Black Pepper and White Cheddar - I have yet to try and I will hunt these down if it kills me. There is one more flavour that doesn't excite my tastebuds like the others do and it is Green Lemon & Pink Peppercorn It is too fragrant and lemony for me so I usually give this one a miss. Just do yourself a favour and go grab a bag. But be careful because you won't look at another back of chips again.